Welcome to the first of Need To Consume’s liveblogs for E3 2015, arguably one of the largest events of the year for gaming! Bethesda has their own press conference this year and they’re going first. These are the folks behind The Elder Scrolls series and Fallout 3, and who have also had a hand in publishing other games like Dishonored and the new Wolfenstein. 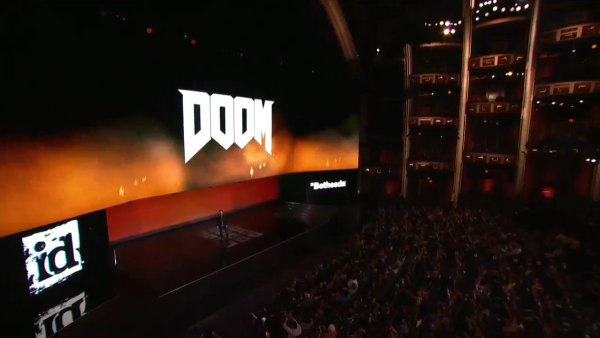 With Fallout 4 having already been announced just weeks ago, it’s anybody’s guess what they’re going to fill the remainder of their conference with, though the long-gestating reboot of Doom seems a fairly sure bet. 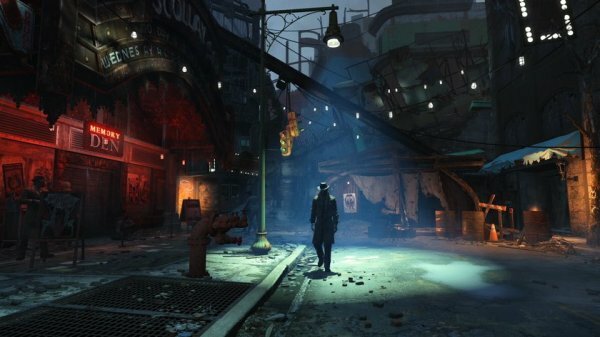 There’s also been rumours swirling about a sequel to Dishonored that Bethesda may have accidentally leaked themselves. Fingers crossed for a few surprises tonight! Whether you’re looking to watch the conference alongside us, just want to read the updates as they come in, or feel like waking up tomorrow morning to get your information at a less unsightly hour, we’ve got you covered! Tonight Mica is manning the Twitter cannons and I’ll be keeping this liveblog warm and cosy, so be sure to keep an eye on both for optimal intake about what Bethesda is announcing and our own thoughts on the matter here at NTC. And if you’ve got your own things to say about the games being announced, feel free to fire a tweet back at us or leave a comment down below. We’d love to hear from you! 3:05 am BST – Bethesda Conference starts! Marty Stratton here to talk about Doom. Hi Marty. Game’s about one thing: killing demons. I had no idea! Shooting demons and also sometimes punching them. Sounds about right. Health bar rather than regen. Aaaand a chainsaw. Visceral but it seems like the animations start to repeat pretty quickly! Yeah, I’m the guy who complains about a chainsaw not being varied enough. Fun at parties. Looks pretty sleek but not especially memorable? Do we need another Doom? Quick sneak peek of multiplayer mode. Looks a bit Quake 3-ish. Horde mode and CoD Zombies mode without calling them that. Subtle! Also Deathmatch. Map editor, gameplay mode creator? Looks… neat? Hard to tell how intricate it is. Another single player demo. Spoilers: Hell is in a Doom game as well. Team combat, third person action game. Class-based. Loathe to make the TF2 comparisons but I’ll make them anyway. Tweaked abilities? Blink-like ability with a tentacle! It’s Emily, the little girl/Empress from the first game! So much for that ending you got in the first game. Can play as both Corvo and Emily. Unique powers, gadgets, etc. No kill run still possible. No release date announced, coming for PC, Xbox One, and PS4. Just a quick reminder about the console release. We’re too busy with our launch, but here’s a trailer anyway! Looks like the Imperial City is getting a big update. Also adding the orc homeland Orsinium. Neat! Also you can ride bears. I’m okay with this. Just a fancy art trailer. Trying to get some of that Hearthstone lightning in a bottle, methinks. End of show! Ha. Ha. Todd Howard takes the stage after that awful joke. Save us, Todd. Ugh, he’s doing the hype up the crowd MC thing. Taking notes from Chris Metzen? Been working ‘very, very hard’ for the past four years. A ‘long look’ is promised by Todd. Seeing as we’re looking at concept art currently, I don’t think he’s lying. We could be here a while. Game starts before the nuclear war happens. Character appearance creation ‘sculpting’. No sliders. Can play as a female too, as you might expect. Quirky way of doing it. I like it! Voiced protagonist, in case the trailer didn’t give it away. Bioware-ish dialogue selection. Selections mapped to each face button of an Xbox controller. Seems they’ll actually say your character’s name? 1000 names allegedly recorded. Cool if true! You survive nuclear holocaust, wake up 200 years later. My guess? You’re an android or clone with the memories of the original! Todd ain’t saying nothing though. Codsworth your faithful Mister Handy. I like this guy. Dialogue similar to how Skyrim handled it. Can walk away at any time. Enter the dog. Contextual commands for doggie. Quick look of locations. Looks pretty varied! More than the Capital Wasteland for sure. PIP Boy looks a lot more dynamic. Can play games on it! Nuclear themed ones! Collector’s edition gets a real PIP Boy. Comes with an app, can put your phone in it. Works with the game, second screen experience. Fallout Shelter. Fallout Sims? Control your own vault as an Overseer. I guess this stuff is cool, but it seems kind of besides the point. Are we done with Fallout 4 now? Coming out tonight/tomorrow for you fine folks with a sleep schedule. Free, no F2P crap except the random loot thing. Mmmmacceptable. Back to Fallout 4! Alright! Build your own base it looks like! Neat. Build up defenses to fend off raiders. Set up caravans to run stuff between your bases. Apparently optional, so no pressure! Modify your own power armour. Kudos to the people who guessed that from just seeing the trailer. VATs sounds like it still might be a bit of a crutch for clunky gun gameplay. Hmm. Guess we’ll see. Killing stuff montage. Got to say it looks pretty familiar. Walking into the power armour to wear it is new though. Cool detail! Call in Vertibird to pick you up. Can man a turret, doesn’t look like you can pilot it. 10th November 2015 release date! Yay for games that come out in 2015. That’s it for Bethesda’s press conference! All in all, a pretty good showing. No real surprises games-wise thanks to that Dishonored 2 leak a couple of days ago, but certainly some surprising features in said games. 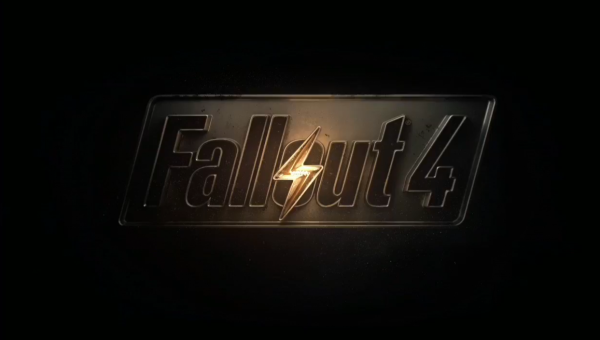 After being initially sceptical about Fallout 4 from that trailer, it’s certainly looking a lot more interesting now! Let’s just hope Bethesda got some tips on writing a Fallout game from Obsidian before they parted ways. 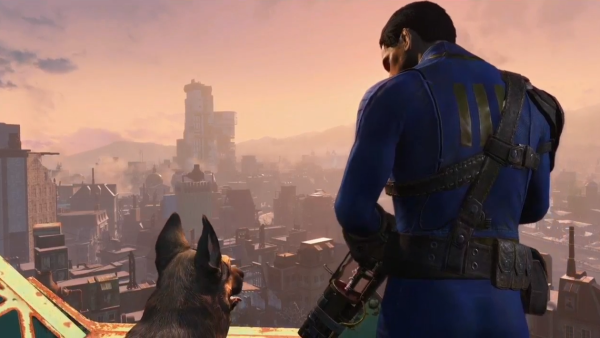 Let us know what you thought about Bethesda showed off tonight in the comments below! Excited? Disappointed? Cautiously optimistic? We welcome it all. See you tomorrow for even more press conferences, starting with Microsoft’s at 5:30pm BST!